Many entrepreneurs and business owners are full of excitement when they begin anew and pursue an inspiring endeavor. It is common for visionaries to be excited about the prospect of new thoughts, new activities, and new opportunities. This is awesome. If you are like this, then you probably enjoy new projects, challenges, and opportunities. Also, you have probably experienced times when you reached your natural ceiling of achievement and felt stuck. Even with your best effort, you kept bumping into this ceiling and you failed to achieve the results you wanted. It’s okay. The risk is that you will allow yourself to become disappointed by these setbacks and eventually resign to the idea that these limitations are just a part of life. At that point, you might abandon your pursuits in search of greener pastures. The problem is you are likely to experience the same cycle again in your new pursuits. Good news. It doesn’t have to be this way. Every successful person goes through this. The difference between average people and their successful counterparts is simple. Most successful people realize they have to make a change to break free from this cycle, achieve their goals, and live an excellent life. The first thing they do is focus on what they want and the things they need to do to get there. They make sure they learn the right knowledge and take the right actions to achieve their goals. The second thing they do is look for others who have achieved the milestones they are striving to achieve. Then they seek to understand what these people did and model their behavior after them to get the same results. Guess what happens when they use the same systems? They experience a breakthrough and rise up to new levels above their former ceiling of achievement. They find a way to reach new heights, achieve their goals, and live an excellent life. At Rise Up Realty Consulting, we have successfully navigated through this process. We understand what it takes to work hard, be creative, have fun, experience breakthroughs, and achieve success. We know how to help others play all out, perform at their highest potential, and achieve their best results as well. It’s the small things. It’s setting goals. It’s blocking time for consistent effort. It’s choosing to live with purpose, live according to priority, and live for productivity. It’s committing to mastery. It’s embracing accountability and taking ownership. It’s about finding great mentors, teachers, and coaches. 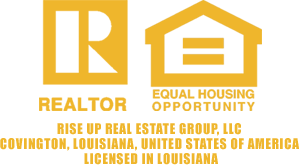 Rise Up Realty Consulting also helps others by providing consulting services to people just like you. We enjoy sharing our positive energy, knowledge, skills, experience, and best practices with clients. We offer expertise in Business Consulting, Real Estate Consulting, and Deal Review Consulting. As a Business Consultant, we help clients with big picture ideas and high-level strategies when they are working on their business. Making strategic plans and taking strategic action will send clients’ businesses on a much higher trajectory. Thinking big and being strategic with their time, energy, and resources will allow them to scale up their business. As a Real Estate Consultant, we are present to help clients with specific details and tactical matters. We serve to help them ensure that nothing slips by in the live scenario. Things get moving pretty fast, and a client’s disciplined attention to detail means the difference between failure and success. As a Deal Review Consultant, we walk through the transactional process step by step with clients. We move from deal analysis to negotiation and deal structuring to making an offer to due diligence to funding to closing the deal to managing the project all the way to your final position which will likely be either a sale for profit now or a hold for long term benefits. We are committed to serving our clients. We help them make the most of the time we work together as well as position themselves to achieve their goals. Rise Up! Bret is awesome! I really enjoyed the realistic perspective. It let me know where I should be setting boundaries to make sure I'm clear on whether I have a deal or not. I feel more confident on how to calculate the numbers. Thanks Coach Bret!!! Bret is excellent! He is a very good listener and specific when it comes to my needs. Bret explains things very well. For that I am grateful. Keep up the great coaching! Thanks again Bret!!! Very happy with Bret's knowledge and suggestions for dealing with some outliers related to my specific deal. He helped me increase my comfort zone around this deal and validate some of my gut concerns. Awesome! More than crushed it! He gave me great tips. It's great to learn from an experienced pro. I want another call to dive deeper into the finer details as this deal progresses. Bret was great! Exactly what I was looking for. He looked at my deal, listened to my logic, and gave me his honest opinion. Our discussion helped me see how I might look at things differently. Absolutely great in my opinion!! This was my first call with Bret, and I was impressed!!! Thank you so much for the follow up! Very satisfied with all of the info. Great to have an awesome coach with us every step we take! Coach Bret Barattini is very patient and knowledgeable. He presented the information in an organized, easy to follow manner. Thank you! Coach Bret Barattini was great. He helped me tremendously with my due diligence. Thank you! I really appreciate Bret going above and beyond duty by taking the time to consult with me while he was out of town. He took the time to talk me through all aspects of my deal and answer my questions. Great job! Bret gave me some good, sound advice. It's proving to be very valuable. I have a contract on the property we discussed. I will close later this month. BOOM!!! Bret is awesome! I was on a tight time schedule, and he was very accommodating and fit a lot of information and support in a short amount of time. I'm very grateful for his help. I would recommend him to everyone! I had a really productive call with Bret. This was the first deal I submitted for his review. I really made a mess of it! Bret was so patient and full of kind words and encouragement! He walked me through some areas that needed major corrections and made very good use of the time we had together. Because of him, I was able to go back in and make the necessary changes. He knows what he's doing and he's got the mannerism to build you up so that you are encouraged. He helps you see that this is something you really can do! So gratefully for his extremely kind, patient and encouraging caoching! He knew what he was talking about and was able to give me clear insight on numbers that I wouldn’t have know to look at or be prepared for. I recommended him to anyone seeking expert coaching. I look forward to future calls! Very satisfied and greatful for the support. Bret was very helpful. He helped identify things I had missed that I needed to know before proceeding with my real estate purchase. Thank you so much! Bret is excellent. Very thorough in his approach and provides solid advice on digging deeper. Highly recommend Bret for any expertise needed on real estate. You helped me understand the deal much better. Thanks! Awesome Coaching! Bret is helping me build my dreams! Bret really gave great feedback that I was able to apply to the deal I am looking at. He is very knowledgeable and very easy to talk with. Made me feel very comfortable to ask questions. I appreciate his coaching and his sense of humor! Bret rocks! Thank you for such detailed comments about my deal analysis process. I really like the way you laid out every single item to for me. I understand things much more clearly now! Coach Bret always offers the best advice & insights. Great call, we really appreciate it! We use all of our notes from our calls as a business meeting agenda. It's always good to keep everyone in the loop who can't be present. Thanks so much for your time. Coach Bret helped lay a foundation before advising us to make decisions. Great approach. Very helpful overall. Thank you! Bret is awesome! He really cares about me. He spent a lot of time taking me through the whole repair estimating process which gave me a better understanding. He goes an extra mile to make sure I understand everything. He is very knowledgeable. I recommend him to anyone! Thanks for helping me stir up some information that I will need to research further on my end. I'm more ready than ever to start positioning myself and utilizing my $$ to work for me. Look forward to speaking again soon! Bret had great insight & specific strategies for certain itmes in full gut projects. His coaching makes me more comfortable moving forward with a local pending project. Thank you! All three members of my team found Bret to be outstanding. It was one of our best coaching sessions yet. We'll definitely be scheduling another call with Bret! Bret is very down to earth and communicates on a level that is easy to understand. I really enjoy talking with him. Great advice, experience and knowledge. I was looking for the finer details about working with realtors and that is what I got and more. More than I expected to learn. Thank you so much! Bret is a great coach! Always going the extra mile. Very through and knowledgeable. He crushed it!!! Bret was very adaptive to my needs. His responses to my questions were very helpful. Thanks Bret! Great call tonight! Wrote down lots of good information not just on my business notebook but also made mental note as I wrote so it's all in my head. I will keep jogging forward and keep making calls with you. Thank you so much for your time! We enjoyed our conversation with Bret. He told us stories about his beginning in real estate. With his coaching, we're ready to keep it moving. Exactly what we needed. We're ready to make a decision, and not to focus so much on the detail of each task that often slows us down. Coach Bret spoke strategically on the topic. He referred me to a title company and an attorney for further assistance. Killer Coach. He has great follow through. I am glad he was willing to take the time to review my deal. Very down to earth and easy to talk to. Thank you. Great job answering all of my questions. I appreciate it! Bret was very helpful with our current situation by offering good solid advice and ideas on creative financing. We met with the seller and have an appointment to discuss further with an attorney as the seller is open to making a deal with us. We're confident we can come to an agreement that works for all parties involved! We are so grateful to have Coach Bret available to help us on this journey and one step closer to reaching our goals! Thank you Bret for your time ~ we appreciate you! Bret again was outstanding! He patiently reviewed every detail of the deal I thought I knew and pointed out several details I had not sufficiently addressed. Kudos to Bret. He is intelligent and very easy to work with. Thank you for the solid advice on what to do next . Call you soon Bret! Bret is awesome! He gives very detailed advice which we really appreciate. He is a straight forward guy and a great coach. I enjoy speaking to him and really like his coaching and mentoring style. Bret gave us some great ideas on resources we can use to find accurate market values in our area. He broke down how to find accurate comparables. He also helped us improve our credibility He was great to talk to and work with and we very much look forward to working with him again! He absolutely crushed it! Thanks Coach 1-2-3 BOOM goes the dynamite! Bret gave me confidence in my decisions, reinforced what I knew and gave many valuable insights. Best advice was checking with an appraiser and loan agent to gain further insight about the value of an ADU I'm considering. Answered all my questions. Gave me a lot more insights to better my due diligence. Awesome Coach! Very productive call. We discussed my situation amd bounced ideas. Coach Bret gave his take on it and offered other alternatives. Very helpful. Left with more details to analyze to determine the best strategy to build a retirement nestegg. I am better prepared to invest to maximize nest egg for future cash flow 5 to 10 years down the road. Thanks! Always happy with our calls with Bret. He is always in a good, positive mood and is ready to talk about anything we bring to the table. We enjoy every call with Bret. Thank you so much and looking forward to more calls with him! Bret was fantastic! We chatted through the questions I had. He was thorough and genuine in his responses and advice. I will definitely reach out to Bret for more consultation. Didn't know what I didn't know... Very informative! Answered all of my questions with amazing clarity. Gave great feedback! Awesome call! Really helped to keep us moving forward with our Scope of Work for this project. Thank you! Bret is a very knowledgeable coach. I plan on calling again soon! I really enjoyed the call with Coach Bret. I learned a lot. Onward! With the help of Coach Bret, I finally got my first investment property under contract!!! I am already on the Atty Review and I am now scheduling the necessary Home Inspections this Saturday. Thank you!!! Bret is a very knowledgeable and skilled educator. He is a motivational coach! Coach Bret is a rockstar!!! Bret focused exclusively on my concerns, which was brilliant! Bret displayed his skill and knowledge in each area that I had questions. He took the time to cover the subjects completely. Today as I am executing, I am well equipped due to Bret’s teaching style. I appreciate having such quality available to consult with!!! Bret was so knowledgeable yet had a way with making what he was saying very comprehendible. I appreciate his mild and respectful demeanor even though we both knew he was far superior in knowledge, skill, and understanding. Bret was spot on with all info regarding my topics. Very knowledgeable in all areas and gave great advice to move me forward. Thanks Bret! I enjoyed working with Bret on this potential deal. He gave me a quick formula to see if the deal would make sense from a very preliminary viewpoint. He also educated me on how commissions work with listing agreements that I had not previously understood. I will schedule another coaching session with Bret for this project once I have more information. Bret was very personable, informative and clear in his explanations and advice. Thank you! Brainstormed with me on a property. It was encouraging to realize I am improving on my analysis and understanding more and more how recognize a deal/no deal. Coach Bret helped us tremendously with guiding us on how to do a private money presentation. We also went over the comp analyzing process for an offer we are making on a potential deal. Bret walked us through the process and now we feel much more confident for our meeting with our agent and our lender. We will continue to request coaching with Bret in the future. Bret helped us understand how to evaluate comps particularly in the adjustments section. We were having trouble figuring out the estimated dollar amounts and Bret broke it down for us. He was extremely helpful and we will definitely call on him for future coaching calls. We appreciate his go getter spirit and recognize his true intent to be a help to others! It's always a pleasure speaking with Bret. He does an outstanding job of getting the information across to me and guiding me in the right direction! Bret was amazing with the answers he gave to my wife and I. Bret ensured confidence that following the process will help us be very successful. We look forward to meeting with him again. Thank you Bret! Thank you for helping us get back to basics. It's good to start at the beginning and build great foundations that we had originally past up. Much more to go! Bret was extremely helpful and knowledgable. He helped me feel confident in my deal analysis process. Thank you! He listens; He encourages; He provides insights. Great Coach! Bret was excellent. Very informative and realistic. He brought clarity to my deals and provide information that will help me tremendously on future deals. Thank you Bret for all your help. Thanks!!! Bret seemed to have ESP addressing our concerns before I got to my question! An example is that I was contemplating adding something to the many tasks I had to accomplish prior to making the hour and a half trip to Garfield NJ for a social networking event. After hearing all that Bret planned to do that day following our call, I had new found energy, took on the task, and crushed it. The notes Bret provided are rich! I want to give him two claps for his awesome coaching!!! We will be calling Bret again. He provided additional clarity regarding wholesaling and pre-foreclosures. Awesome!!! Thanks Bret, for sharing knowledge, experiences and recommendations regarding being a PML using SoloK. Great suggestions! Greatly appreciate the extra time devoted to helping me understand the subject. As I considered buying an apartment building, the Coaching I received from Bret totally helped guide me in the right direction. Thanks, Bret! Keep Crushing It!!! We appreciate your Deal Review. You gave us a detailed response with great feedback. Thanks to contacting you, we know we're making a good decision. We're pumped and ready to move forward with this project. BOOM!!! I appreciate you reviewing my deal, Coach Bret. You shared some great advice. If not for your help, I would have walked into a big mistake. Thanks again! Bret played down everything clearly. I appreciate the fact that he drilled down on every detail to help me focus on the specifics. Awesome Deal Review. Thank you! Thank you for reviewing my deal, Coach Bret. Your knowledge and experience helped me learn why this wasn't a good deal during a phone call. Much better than learning this the hard way! My call with Coach Bret was great! I learned a lot and decided to schedule another call tomorrow! Thank you for your prompt response and amazing advice. Your Deal Review brought up things that I hadn’t thought of and forced me to figure out details before pursuing this deal any further. In the end, we were out bid on the house to which I was actually relieved. This was not as good a deal as everyone was telling me it was, and I realized this once I started making the changes to the numbers you suggested. Once again, thank you. This could have ended very poorly had I not gotten in touch with you. This was a big learning experience. I’m ready to move forward onto the next deal with more knowledge and confidence. Your advice was very much appreciated. Have a wonderful day, Bret! You are helpful and informative. Thanks again for your time, Bret! I had a great experience working with Coach Bret. I received clarification on my thinking. I have a better understanding of the process and I'm on the right track. Thank you for the Deal Review! Bret is an extraordinary person! He is always “there” and ready to go when you need him. His totally positive attitude says a lot about his great character. Thanks so much for making yourself available, Coach. You're the best!!! Bret provided a comprehensive and detailed Deal Review. On our call, he took the time to explain things and made sure we understood clearly. We like Coach Bret's attention to detail. We would love if you reviewed our next deal. Expert call. Thank you! Coach Bret was extremely helpful in keeping us calm and focused. He helped us remembering fundamental practices. He directing us to the most appropriate resources. He also gave us some great ideas for the situation we are dealing with. I will definitely call him again! My call with Bret Barattini was very powerful. He carefully listened to everything I had to say. He answered my questions and gave me lots of positive input. I can't wait until our next call. His knowledge base is off the charts. He provided me with lots of encouragement to keep pushing forward. I will continue on the right path. Thank you!!! Bret is a great Coach! He shares valuable knowledge. He is pleasant. It's always nice to talk to him. Thank you!! Coach Bret gave me a lot of good advice and a lot to think about! Thank you for helping me to focus on what action steps are important to achieve my life goals. I feel confident about my current position. I'm looking forward to starting a successful business. I had some difficult questions, and Bret did a great job of keeping the conversation going in a clear, positive direction. After our call, he did a great job of summarizing the conversation with excellent notes for my review. Thank you! Thank you for your encouragement and professionalism! Great Coach! Great Coaching Call! Bret answered our questions and gave great advice for the topics we covered! Coach Bret shared lots of good ideas and action items! Bret helped us clearly understand the detailed steps to making an offer to purchase real estate. He also assured us that our estimates were reasonable during our Deal Review. Encouraging!!! We really didn't know where to start when Bret called, but he helped get us going. He asked good questions to help us gain clarity. We cut through our confusion and got right down to the key issues. He encouraged us to maintain our focus, keep heading in the right direction, and work our plan. He helps us keep ourselves accountable. He made sure we understood him and we were keeping up with him. He's a great Coach! Coach Bret was incredibly helpful! He really took the time to explain the deal analysis process in detail and offered helpful tips for assessing our current deal as well as future deals. We will definitely be scheduling more calls with Bret in the future! Bret has a great way of communicating. He does a great job of answering my questions while being thorough and quick. I appreciate his time everytime we chat! I don't feel rushed and I learn more and more all the time! Thanks, Coach Bret! Really learned a lot and enjoyed our time with Coach Bret! He is very knowledgeable! He gave lots of good info and helpful tips! Bret was very understanding and flexible. He helped us understand what we needed to do to get our business up and running as well as stay motivated to achieve our goals. Thank you! Bret was very knowledgeable and genuine. He did a great job listening to understand how best to answer my questions. He was very transparent in speaking of his personal experience to elaborate on my questions. His honesty and sincerity helped me immensely. I appreciated our conversation very much. I will schedule another call with him soon to get his insights on matters we didn't have time to cover today. Thank you! Bret provided me with detailed notes of the topics discussed on our call together. It shows me he was as invested in the call as I was. I appreciate the effort. I will refer to this advice often to stay positive and keep my spirits up as I continue to make progress. My progress has not been as fast as I would have liked, but I can see a new light ahead thanks to Bret. Going forward, I will make better use of my time. Please thank Bret for me. I will be speaking with him in the future. Thank you. Thank you for your help. I appreciate the clarification that my deal was a good one for the start of my real estate career. Bret always gives 110%. He truly sets a very high standard of quality. Thank you! Bret encouraged me to continue to learn the knowledge and take the action that will help me move toward my goals. He gave me positive feedback about my current progress and action steps to reach those goals. Bret was very informative and had valuable personal experience and made some great suggestions regarding investing with my Equity Trust IRA. I was very glad that I spoke to him about it. Bret was extremely helpful in answering my questions around seller financing and helping me gain focus on what's important in a project using creative financing. He is encouraging and experienced. I appreciate him sharing his wisdom and positive attitude with me. Bret provided very detailed info. I will schedule more calls with him to discuss this deal and others as I'm sure I will continue to learn even more from him. I appreciate the help! Bret, you are way way over the top when it comes to the excellence of your coaching! You are an extraordinary person! You continue to set a super example by your 100% commitment to help me learn this business and have fun. I appreciate the way you put yourself out there for other people. So glad to have met you. I will follow up and continue to learn and move forward. Thanks again my brother!!! Bret listened extremely well and answered all of my questions. He gave me tons of knowledge about how I could protect myself as a private lender on real estate transactions moving forward. He is very thoughtful and insightful. Thank you! Good job, Bret. I was satisfied. Thank you for helping me review my deal. Bret went through my deal and had detailed information to make it better! Thanks so much!!! Bret is awesome! He is candid, intelligent, and insightful. Speaking with him was very helpful, and I learned a lot from our call together. Thank you! Coach Bret gave us some great info. We appreciated his advice. Bret is awesome! He provided me with a great deal of information that helped me a lot in analyzing my deals. He has a great way of motivating me to continue to do better. I like his way of explaining and simplifying concepts to help me easily comprehend new ideas at my level. I was stuck, and Bret helped me overcome my challenge. We figured out my mistake pretty quickly. He made it simple. I don't know why I waited so long to call! Now I know how to move forward! Bret answered all my questions and shared many valuable insights. He’s awesome! I love how you explain everything in detail. It really shows your knowledge and the reason your coaching. Keep up the great work. I will be calling you again soon. Thanks, Bret!!! My conversation with Coach Bret was very informative. He did a good job on pointing me in the correct direction to move forward. Our call with Bret was very engaging, specific, and he provided us with a lot of great information regarding our questions. It was better than I could have anticipated. We will follow the prescribed work and complete advised action steps as well. 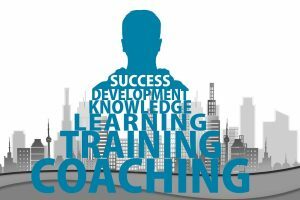 We are looking forward to scheduling another coaching session with Bret to strengthen our communication skills and improve our business using various strategies. We know that we have tools to succeed and we are carving out time to make it happen. Bret helped me with some GREAT advice!! Bret is an amazing Coach! I really liked our conversation! Bret, thank you so much for your feedback. I'm glad I submitted my deal to you for review. Your advice and assistance is very much appreciated! Thank you so much for the call! I am grateful for all of your time, words of wisdom, and encouragement!!! Bret is awesome! His energy is off the charts! He helped us gain confidence to take action! Thanks for validating the importance of buying properties "right" or buying them at a discount for wholesale prices to set up a successful investment outcome. I appreciate the reminder and the sound advice. I submitted information for Bret to review. He provided extremely insightful information and useful feedback. I learned a lot from reviewing this deal with him. Thank you very much! Bret went above and beyond and crushed this call!!! He is sharp! Helpful! Methodical! He set out a clear path for me to follow and suggestions as to how to navigate this amazing opportunity while addressing key points for me to be aware of in order to protect and secure my interest. As a result, I am able to pursue my best outcome. Thank you!! Bret is an awesome Coach. He has a very positive attitude. One of the best attitudes I have ever encountered. He always embraces my questions with patience and provides expert answers and advice. He truly cares, is generous with his time and knowledge, and gives his best to ensure you are able to proceed toward success. He is the best Coach I've spoken with. Thank you! Awesome call! Bret crushed it! Thank you so much for your help, your support, and your advice! Our calls are great! You rock, Bret! Bret as usual was AWESOME! We have a common understanding of my progress and connect on so many levels as I build my business. I can always say I leave every conversation with Bret pumped and educated. He crushes it every time! Thank you, Bret! Your advice is awesome! We're ready to play ball... You're worth your weight in GOLD!!! Mr. Bret Barattini delivered a personable and engaging call held with integrity and professionalism. He not only lived up to his biography but exceeded my expectations. So far he has made sense of many of my questions during our time together. It is leadership like this you want to follow and shadow. Barattini's passion and commitment to excellence and world-class ethical compliance was a huge score. I look for this in individuals and companies. You do not find this in brands everyday. As a fellow real estate professional, I look to follow Bret Barattini's coaching and leadership. As an entrepreneur in the making, I hope to not only cross paths but possibly share in some collaborative success stories and future trainings. Great Coaching Call today. Again, thank you for your commitment and support. Look forward to our follow-up. You CRUSHED IT!! I'd just like to say that it was fantastic to talk to Bret today. He took the time to really listen to what I had to say and provided me great feedback. Our conversation flowed and covered great information. I plan to schedule another meeting with Bret. Bret is a very professional and encouraging Coach. I felt much better after I talked to him. I will schedule a call with him again. Thank you! Bret was very inspiring and informative. In a matter of just 30 minutes, I learned so much from him. He helped me realize creative ways to succeed that have been available this entire time even though I didn't see them at first. He really shows you how to win. Thank you, Bret! I enjoyed my call with Bret. He is very knowledgeable, polite, and patient. He has good character. Thank you. Bret you continue to crush it with every coaching call. Love how you break things down and strategically layout methods to achieve success. Thank you! Bret gave me great tips on the area I have been wondering about for weeks. My mind started to become clear and got motivated to take action. Thank you! Bret did an awesome job as usual. He provided me with real life examples that correlate to what I will endure in this business and the challenges I may encounter. I was looking for some advice how to approach the next steps in my business, and Bret gave me a road map on how to balance my time, network, and apply my knowledge with effective action. I look forward to our next call. Bret was GREAT to chat with ... Not only did Bret answer all of my questions, he also provided guidance to help me stay focused within the most important parts of my business. Bret is always there to answer and guide us in all aspects of our business. He is helpful in giving us additional information that may be related to our original questions themselves. Thanks Bret! Bret is awesome! He’s very nice and super supportive. He was super patient and addressed my business questions, as well as my personal fears in a very understanding manner. Looking forward to chatting with him again! We feel like every moment we spent on the call was very productive. Bret answered all of our questions and he helped us choose our business name with good reasoning and judgement. He is very encouraging and supportive. We loved it. We are looking forward to our next call once we continue to make progress and complete the tasks as we planned. Thank you! Bret was exceptional with all his knowledge. He shared ways I can improve my business through creating credibility and generating leads. I was apprehensive with my approach, but he helped me calm those nerves by suggesting I take a core value approach that includes caring for others and having integrity. Doing business with values like these sets me at ease. I look forward to our next call as he is very informative. What a great Coach! Thank you for a great call! I appreciate you making book suggestions for me! Your positive outlook is always uplifting!! Thanks Bret! Very helpful... Fortunately we spoke before I moved forward. If not, I would have made a huge mistake on my purchase. Now I have all of the information as you suggested in order to move forward successfully. Bret was so helpful & provided exactly what we were searching for in the creative financing realm! We just love him!!! Humble in person & amazingly wise on calls! He share so much knowledge about investing with self directed IRAs and 401(k)s. Thanks, Bret! Scheduling another call with you for sure as this was a boomtastic first from you! Grateful indeed. My call with Coach Bret was very helpful. I had a lot of questions before our call. Bret helped me understand a lot of new ideas and shared from his experience. I feel confident about my way forward and know I will accomplish my goals. Thank you! Excellent call! Delivered great information and answered all of my questions! The experience was great! I have no idea why it took me so long to book a call with Coach Bret, but I will definitely do so more in the future. Thank you! I got clarification on everything I needed for this particular deal. Thank you! Bret was very encouraging and helpful. Thank you! Bret lead an awesome meeting and beat the pants off my expectations. Thank you so much Bret! Bret doesnt just crush his coaching calls... He pleasantly annihilates them =) Thank you Bret! Bret is an AMAZING Coach! He helps guide without being pushy, and is so knowledgeable. He has a great attitude and keeps the conversation positive while making sure I know the next steps I should be working on/towards. Thank you! Bret, was very helpful and provided some great tips based on his experience! As always, it was a great treat to be coached by Bret. He not only is very encouraging and inspiring always, but also gave us great insight on the different segments of business such as Acquisition, Rehab Management, Sales, Coordinating Transactions as well as how to network with lenders and have multiple financing options. Bret has greatly contributed in enhancing our motivation, skills, knowledge and organizing power. We are extremely grateful to him for his ongoing inspiration and motivation! Exceptional Coach! Gives a new definition to the term "Crushed It". A big THANK YOU for your help! Once again Bret surpasses expectations!! We get so much done on our calls. It is amazing! Can not wait to build myself to his wealth of knowledge!!!! He is my go to guy!!! Bret was super helpful, very professional, and easy to talk to. He gave me great ideas to keep me pushing forward! Bret is awesome and very supportive! Bret's experience with Subject-to is such a confidence booster. Great discussion. Thanks! Not only helped with my current needs, he anticipated a need I would have in educating the homeowner that their payout goes down as I uncover any fees, penalties, court costs, etc. related to their outstanding mortgage. Got insight into finding answers for my initial questions. Plus I got some good insight into some topics outside of my initial questions as well. Bret, thank you SO much for your time on my call. I truly appreciate it and it has helped get me out of thinking mode to DOING mode! I plan to follow up with you after I get a few of these action steps done and information collected. You have GREAT ideas & I love brain storming with you!! In particular I love how you specifically are moving me from Technician mode to Entrepreneur! Thank you again, I'll be back in touch soon! Our phone call with Bret was very inspirational and motivational. He is an excellent Coach. Bret is the man... supportive, focused, and experienced. I highly recommend him to others! Geaux Tigers!!! Great session. Learned a lot on a new topic and got some additional feedback on some others! Bret has been very helpful discussing a potential deal. Bret has a great positive attitude and motivates me to push through!!! Bret is always so positive and inspiring! Bret really gave us great information! Brett was very encouraging and gave good advice to overcome my doubts and worries. Real Estate...I am going to get the hang of it soon! Great enthusiasm... Really appreciated his experience! It's been great talking to Bret and his dedication to help me improve and do the right activities, have the right mindset to get to my big goal. Lots of distractions come up each day with my agent business and with friends and new and future clients, but I HAVE to take 2-3 hours each day to ramp up my income producing and business generation activities such as door knocking, calling potential sellers, previewing homes and making offers, other than being consistent with marketing campaigns. I had an absolutely amazing call with Bret today. We shared about a lot of different things, particularly some circumstances and experiences from the past that I felt were holding me back. Bret was extremely supportive and brought me to reality that I was much more experienced, qualified and capable right now than I was 10 years ago and I also had a much better support system now with 10 years in real estate and I also am in a much better position financially to continue with my marketing efforts and get started with the business. The other thing that Bret greatly helped me with today was a realty check that just having ideas and goals and organizing systems and online marketing will not get real results. I need to actually get on the road and find motivated sellers who are ready to sell or list their home today...I had been feeling the same way lately, but had just gotten distracted with my regular real estate business and was unable to take the time for prospecting and lead generation lately...but today's call with Bret was a real wake-up call for me and I printed a bunch of the letters, packed them up in envelop, set up my route map and went out to knock on the door of few people who were behind in payment. I was able to meet with a few people and dropped off the letter for the remaining. Will follow up with the potential sellers tomorrow. I definitely need to continue this routine of calling and door knocking at least 4-5 days every week. Nothing can stop my business growth then...The Sky Is The Limit is how I always feel and I WILL MAKE IT HAPPEN. Coach Bret was very detailed when explaining private money lenders. He won my wife over and gave her confidence. Along with other things he pointed out the risks of the stock market vs the risks for private money no comparison. Ive decided I cant wait to be a lender after I get a few rehabs under my belt. anyway we were both impressed with Bret and what he had to say. I look forward to his great attitude and professionalism in the future! Bret didn't have specific knowledge about the probate list question we wanted info on because it varies from state to state. However, he gave us even better info regarding estate attorneys and estate sales companies and why they will be valuable and how to pitch them. We role played together which was very helpful. I will be happy to have more coaching calls with Bret in the future. Rise Up! It was my first call and I wasn't sure what to expect. Bret was positive and enthusiastic. I had a specific topic to discuss. Our conversation also covered general as well as the specifics details of my situation. Bret and I will dig into this more and more on a future phone calls. Bret was spot on what I needed. He is empathetic with where I am on my journey and shared his own experience, strength and hope. I will be scheduling another coaching call with Bret next week. Thanks, Bret! Bret was very informative, thorough and understanding. He answered our questions and concerns right on. He is also very encouraging to us! Bret was very knowledgeable and helpful!!! As always, it was a great pleasure talking to Bret and getting into some script practice and learning some of his techniques with rapport building and negotiation. Bret summarizes the process so well: The steps included in the process are: information gathering, analysis of the property based on this information and a quick market study, reaching a zone of possible agreement, setting a property walkthrough appointment, and making an offer. You did a great job and we both learned and improved our skills. I look forward to talking to you again soon and honing my skills. Bret is very thorough. Very detail-oriented. He is one of the best Coaches I have encountered. I will be booking him again! The coaching call with Bret was very informative. He is very detail oriented and compassionate about what he does! Bret is very positive and reinforcing. Will book more coaching calls to keep going down this line of effort. Coach Bret answered all my concerns, I am more confident after this call. Thank you! Bret is great! I will continue to seek him out specifically for more coaching calls! I felt that we really connected on the call. Thank You Bret! Bret is a PHD in communication skills and it's always a pleasure to learn from him. We learned a new style during this call - Framing. It was interesting to learn that, though we sometimes do use and practice that during our presentations to set the clients up for reasonable or lower expectations and surprise them with better news than they expected. We also discussed with Bret our recent findings on how you can utilize Craigslist in many different ways by looking for appropriate Estate Sale, FSBO and Rental Ads and finding Wholesalers. As always, it was great to learn from Bret and we look forward to many more calls with him. Bret was great to talk to. He really help me stop and think while being very encouraging!! Thanks Bret! Awesomeness!!! Super helpful and allowed us to see the bigger picture! Kay and I went over some more types of questions with Bret which will help us uncover their needs and wants so we can assist them better in fulling their goals. Bret is committed to help us improve and we find ourselves very fortunate having Bret on our side to help us get better everyday sharing his expertise with us. Very thankful for him! I really enjoyed my conversation with Bret. He’s positive and encouraging and was able to relate with some questions/concerns I had. I plan on reaching out to him again! I enjoyed talking with Bret. He understood my way of learning and broke things down in an easy manner. I connected with him through our shared enjoyment of competition through runs and triathlons. He kept me motivated and helped me understand that even though I do not know everything, I know more than I did when I first started and I am continuously improving. I will enjoy more calls with Bret. The best thing is Bret is an expert. He has a lots of experience and very positive attitude! Thank you! Very informative call about lease purchase and owner financing!! Great meeting and talking with Bret. He pushed beyond the normal allotted call time, and I am very appreciative for that. Great advice! Will definitely do another coaching call with Bret! We discussed ideas that I have not heard before. Good! Bret was awesome! Very inspiring and gave me confidence to keep learning and taking action! Bret was very helpful. I have a better upstanding of analyzing deals. Bret is so helpful and really listens! Bret Barattini is very knowledgeable. His suggestions on LLCs and gap financing will be helpful for us in future. We thank him for his time and look forward to speaking with him in future! Bret was awesome. True professional. I will call again! It was great talking to Bret, as always. He shared the "Why" questions with us and then we practiced some scripts. Bret is always very calm and inspiring and provides great guidance to deal with sellers to grow business! Lots of info! Glad you take notes haha. Yeah covered creative financing request to get some other deals rolling. For sure with be implementing one soon! Bret helped me realize patience is the name of the game at this point. He gave me great pointers on how to deal contacts to create relationships and how to find others through conversation at auctions or networking. Very positive conversation and input. Bret definitely Crushed It!! Bret was very professional and filled with tons of knowledge. Everything he talked about was spot on. We are feeling confused by real estate, don't know where to begin, don't know what to expect, and I can keep going. Bret reassured us that it will all make sense and to trust the process. We are very excited to continue with our coaching. We are grateful to have met Bret, enjoyed our call and look forward to speaking with him again. Thank You! I have taken 2 calls with Bret and I absolutely loved the calls. He is so passionate and really wants to help you grow. You get pumped when you speak with him on the phone, and at the end he is so detailed with his notes that gives you a great summary of the call besides the notes that you take. Awesome guy! 2nd coaching call w Bret. He is the man. He's a tremendous help. We have regular calls every week to keep me on track. Excited for these next couple months with him! Bret allowed me to redirect and focus on the things that I needed to get done. I look forward to utilizing his expertise often. Awesome call!!! Bret was excellent and we look forward to having him as an accountability Coach and partner. Here is to starting fresh!! Very helpful for our needs. We can't wait to work with him again! Bret is one of the best Coaches I have ever talked to. His commitment to excellence and the way he cares about you and helps you grow is unique. Thanks for all you do! Bret was very helpful. He provided very good information to keep in mind for future leads. I am really thankful for his expert advice. Thank you for helping me answer my questions! One of my better coaching calls I've ever had. Probably the best so far! Bret was very knowledgeable and was focused on the area of marketing. I have a much better idea of who I want to market to and how to make it happen. I am glad Bret is part of my coaching team! I appreciate the expert advice on how to protect myself when using subject-to to close on a pre-foreclosure...Didn't even consider the escrow account from bank loan before chatting with you...Thanks Bret!!! Bret was very knowledgable and helped us understand where we need to be and where we need to be going. It was absolutely wonderful talking to Bret. He listened patiently about my situation and also my frustration for not being able to knock even a single deal for my investing career. He gave me right guidance towards some of the marketing campaigns that I am about to start. Bret inspired me to keep doing the activities and find time for my business, along with my agent business and just be consistent with everything and results will start showing up...He was very encouraging and supportive and I cannot thank him enough for lifting my spirits up. Bret did an amazing job on this coaching call. He is extremely committed to his student's success! Bret coached me on various ways to tackle the more difficult task of wholesaling REO's. Gave me some good info to take to my realtor. I already have, and she is researching the possibilities including double closing. Thanks for the help! Adequate and realistic... positive and inspiring at the same time. Thank you! We are very happy with the coaching call From Bret, can’t wait to learn more! Crush it!!! Bret was very easy to talk with. He is very up beat, gave good advise. I can’t wait for our next call. Bret was very knowledgeable, engaging, and reassuring. He helped jumpstart my outlook by challenging me to "work hard, have fun, and let the winning take care of itself." I appreciated him sharing his story upon my request and encouraging me to keep my faith strong and commit to moving farther/deeper down the learning continuum. This was our first coaching call. We needed support with finding Private Money for a property we have under contract. We were super motivated and encouraged after the call, and we got our first Private Lender at 25K WOOOHOOO!!! Bret was amazing! Bret will stand out in my mind for the style with which he helped me look at my marketing considerations differently. He had such a great way of suggesting a myriad of ways to target my marketing without ever saying "you should really do this instead of what you were considering." Hearing from me my income goals, he listed out several target markets that are good for short-term vs. long-term campaigns to generate leads. I hadn't been thinking that way, so this was a BOOM! moment for me. Thanks, Bret! Bret is the man for sure, huge help in all aspects. Absolutely grateful to have connect with him! Bret was very helpful! Will call him again! Bret is always very professional and friendly and insightful. Had a totally amazing call with Bret! The detailed notes that he has sent is absolutely mind-blowing. His concerns and commitment towards my goals and betterment is an inspiration. He has explained everything so beautifully in his coaching notes - how I should focus on my goals and how much pressure I should exert on myself, so it stays positive and does not have negative impact. We also did role play with speaking with sellers and Bret was a real master with that. I am going to book more calls with Bret consistently, so I get better and better with my calls and conversations with people, who will call for help with their current situation. I am always sensitive to people's situation and want to help them to the best of my ability, but to express it as well had not been my forte and I am looking forward to Bret's help to improve my communication skills so I can address the lead calls better and help people the best I can. What a perfect time to connect with Bret and role play the scripts to get better day by day! Really great to hear your personal story, Bret. It's really motivating to hear that you started with pretty much no experience and are now doing what you dreamed of just a few years ago, namely enjoying multiple income streams and developing real estate, even if you hadn't quite decided that's what to call it. Great call! I got a lot of valuable information that will help me get a confident offer on a property I will be looking at. Looking forward to my next call. Thanks!! Bret shared concrete tips for how to analyze a lead I have and gave me the confidence that I was on the right track with what factors to look at during our call. Even better, his call notes included all these different resources I didn't know existed to help my analysis!! CRUSHED IT 200%! Above and beyond what I wanted out of the call. Seems like their is limitless information to be learned on Private Money. Want to also go over Creative Financing with Bret which is scheduled for next week. Looking forward to many more calls with Bret! Bret was awesome and very professional! He made me fill like I walked away from this meeting encouraged that I was on the right track and not to be so hard on myself. A very good meeting! This was my 3rd call with Bret and every minute of it was truly fun and amazing. We discussed about my short-term and long term goal and also the law of nature that I need to let go of the frenzy that I need to do two deals in Feb and just do my part and take the right action and nature will make things work out at the right time. We went over the different forms of questions - Desire Questions, A or B Questions and Space-Creator Questions that Bret has so skillfully mastered and shared with me. It will be extremely helpful in improving my communication and negotiation skills. I look forward to our next call on Friday to learn further scripts and great questions. Thank you so much Bret.